Drug resistance is arguably one of the most significant medical challenges of our era, costing millions of lives a year. Antibiotics, once a miracle cure against deadly bacterial infections, have bred antibiotic-resistant bugs that now defy all treatments. Meanwhile, cancers continue to evade even our most advanced treatments and a cure remains elusive. Despite our greatest efforts, these challenges remain beyond the reach of the medical research. Modern medicine has thus far failed against drug resistance not because our drugs are ineffective, but because a very small fraction of cells can survive these potent treatments. “Rare drug-tolerant cells can survive supra-lethal doses of toxic molecules and appear spontaneously in genetically identical populations,” says BioFrontiers’ Joel Kralj. These survivor cells drive the resurgence of more aggressive and drug-resistant disease. Yet researchers know very little about them without the tools to identify them from among the masses. Their secrets hold the key to once and for all cure cancers and antibiotic-resistant infections. Rising to the challenge, BioFrontiers has assembled a dream team of researchers to face off against modern medicine’s greatest foe. With their highly innovative and interdisciplinary approach, the team is poised to make headway where others have repeatedly tried and failed. “With experts on the leading edge of four different waves of innovation, we have the convergence of cutting-edge biotechnology and computational capabilities required to break new ground,” says Liz Bradley. Each team member brings a unique skill-set to the project, wielding powerful new weapons against their formidable opponent. Survivor cells have remained elusive because scientists lack the molecular tools to examine individual cells within living populations—to find the wolves lurking among the sheep. Until now. 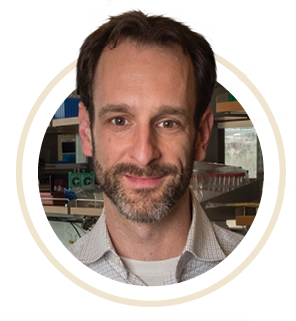 With innovative molecular biosensors and sophisticated video imaging tools, biologist and physicist Joel Kralj offers unprecedented microscopic surveillance of living cells. His tools reveal a whole new world of biology in action, exposing key aspects of cellular dynamics that are lost with traditional biochemical techniques. Most recently, Joel made the revolutionary discovery that antibiotic resistant bacteria use voltage as a means to sense their environment, similar to mechanisms used by human neurons to relay the sense of touch. Furthermore, these electrical signals play important roles in antibiotic resistance, distinguishing resistant bacteria from their susceptible neighbors. These unique electrical patterns provide a rare clue to resistance mechanisms that might be exploited to target and block resistance. Now Joel aims to investigate whether these unique electrical patterns might reveal survivor cells even before antibiotic treatments, affording a means to target and prevent resistance before it’s too late. In addition, Joel will deploy his arsenal of molecular biosensors to identify novel predictors of bacterial resistance. These may include molecular pathways involved in bacterial transformations like biofilm formation, virulence, and defense against immune attack. 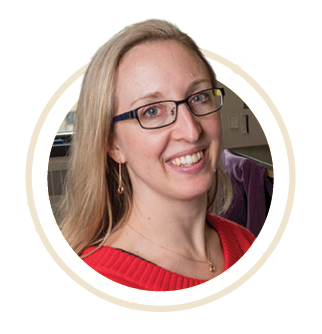 With her melanoma pipeline she examines how rare survivor cells emerge from genetically identical populations to seed resistance. “Some research suggests that quiescent, undividing cells may be resistant to drug treatments,” she says. Looking for survivor cell ‘tells,’ she will investigate whether a cell’s growth rate might predict its resistance. If so, molecular pathways that control cell division could provide new targets to block cancer relapse. Since day one Joel and Sabrina forged a synergistic relationship, having joined CU as junior faculty on the same day three years ago. By sharing ideas, algorithms and even students between them, they accelerate scientific progress in both of their labs. They are excited to now collaborate on the same biological question for the first time. “We thought, why don’t we pool these two diverse topics that are united by a common methodology.” says Sabrina. After Joel and Sabrina collect microscopy videos, computer scientist Dan Larremore will track down which cells gave rise to resistant lineages. Dan is the perfect man for the job, with dual expertise in microbial resistance and bioinformatics. Dan has honed his applied mathematical skills to track the evolution of the Malaria parasite, which is also notoriously evasive of drug treatments. His experience and computational leadership in this arena will be invaluable to the mission. 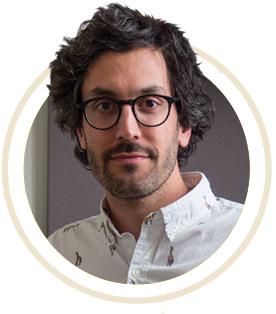 Adapting his computational tools to analyze terabytes of video data, Dan will deconstruct the team’s big data into cellular family trees, retracing the roots of resistance. The BioFrontiers High Performance Computing Resources facility, with state-of-the-art data storage and computational clusters, will be crucial to accomplishing this otherwise insurmountable task. A computer scientist tops off the team with her prowess in computational geometry and topology. 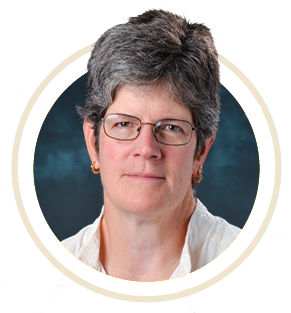 Her first foray into biological research, Liz has focused on data from other scientific fields, such as astronomy and earth science. She recently drew the connection to biology after hearing that breast cancer cells change shape and motility right before becoming cancerous—which triggered a light bulb in Liz’s brain. “It struck me that maybe shape mattered in terms of what a cell is doing, or could do. It got the wheels spinning in my head,” she says. Applying her algorithms to pre-process cell shape, size and movement, Liz will transform the team’s complex imaging data into digestible bites for machine learning. Artificial intelligence (AI) will then take the reins, guiding the team to cellular features that serve as red flags for resistance. “We are using machine learning to actually generate scientific hypotheses. Then we can go back and investigate the biology,” says Liz. The team credits the unique atmosphere of BioFrontiers, with its innovative and cooperative culture, for seeding their transformative collaboration. Housing experts across diverse biomolecular and computational disciplines under one roof, BioFrontiers also fosters idea exchange through new programs like grant escape rooms. “We all work on very different things, but sequestered in a room together we came up with this synthesis of unique ideas that we would never have thought of otherwise. It turns out, we came up with something really good, so we thought, well, let’s do it!” says Sabrina. This creativity and drive to take action is a hallmark of BioFrontiers scientists, forming a magical environment where brainstorms become a reality. “As a multidisciplinary institute, people in BioFrontiers are always interested in getting involved in diverse projects,” says Joel. He adds that even with the desire, very few teams could pull off such an ambitious goal. BioFrontiers researchers’ unique interdisciplinary communication skills will be essential. “People here can speak many different scientific languages—I see this as a really big advantage to advance our research. I can guide my colleagues through my work in their terms, and they have enough interdisciplinary knowledge to extract relevant data and derive new insights,” he says. Interfacing advances in live-cell imaging and machine learning in unprecedented ways, the BioFrontiers team aims to finally unlock the secrets of survivor cells. Their insights will inspire powerful new strategies in the search for a cure against cancers, as well as antibiotic resistance. “Developing imaging and computational tools to identify new molecular and cellular features of live cells in the context of diabetes, immunology, etc., and having computers make novel biologically relevant hypotheses, would be phenomenal across the board,” says Joel. For instance, such tools could crack the code to perplexing neurologic diseases like autism and schizophrenia, by helping to determine how nerves misfire. Ultimately, the project could have widespread impact across all fields of medicine.